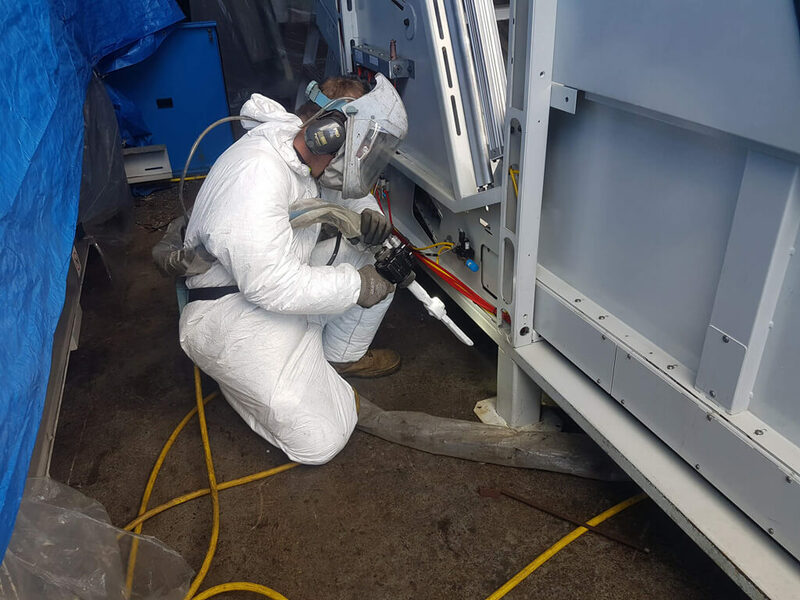 Dry ice blasting in Melbourne laundry of all surfaces of the laundry equipment to remove smoke, fire and chemical damage to the equipment. 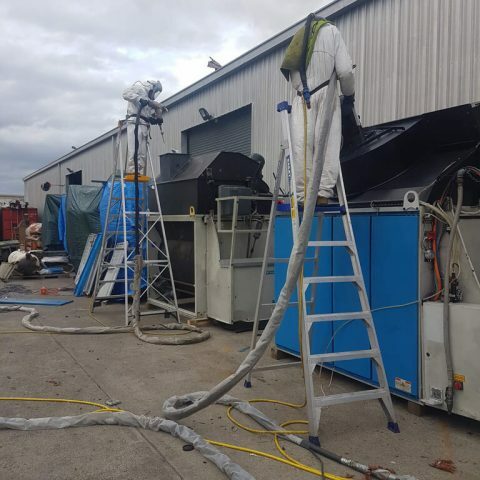 Provide a more aesthetically appealing look whilst giving the equipment a clean surface for the likes of white laundry to run through the machines. 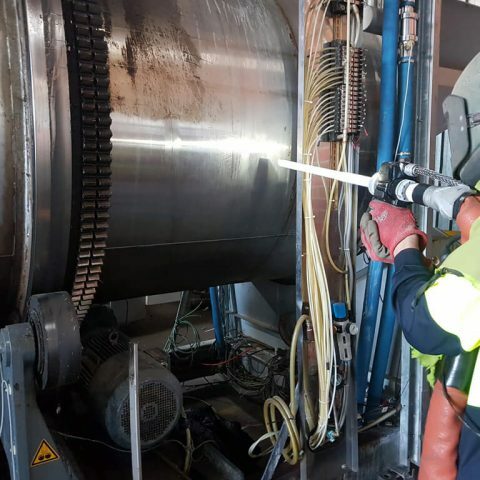 Provide a clean surface on the machines for refurbishment by Jesen Technicians. 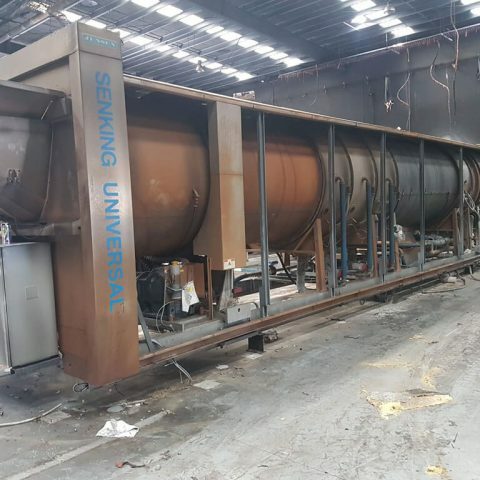 SPL purchased the smoke/fire-damaged machinery to refurbish and distribute it through out their company Australia wide. 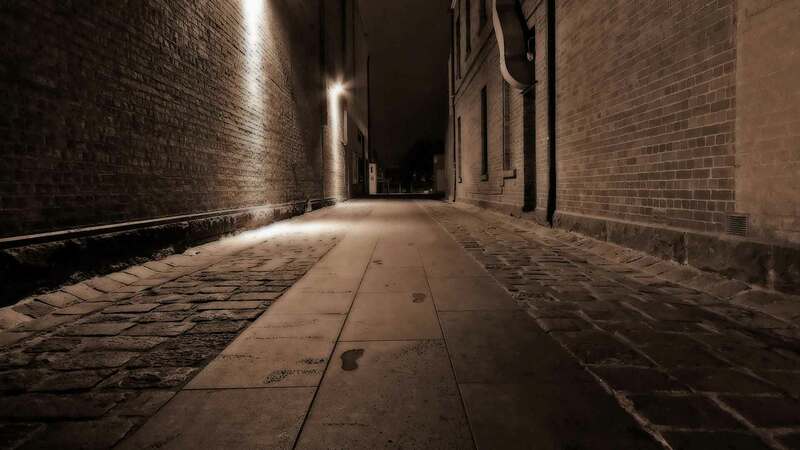 However it was severely blackened by the fire and works to refurbish couldn’t begin until it was cleaned. 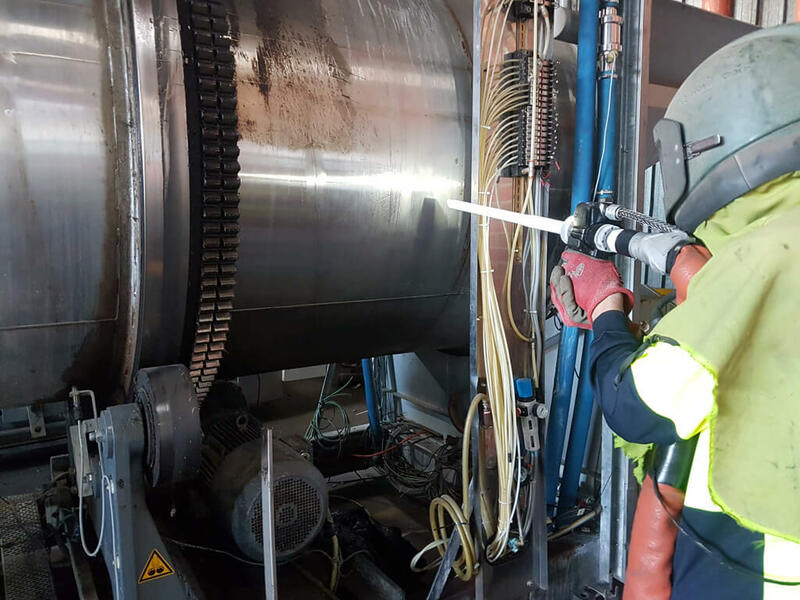 SPL contacted the Polyspray team to find a way to efficiently and effectively clean the machinery without stripping the paint, damaging the workings of polished surfaces and hydraulic rams. 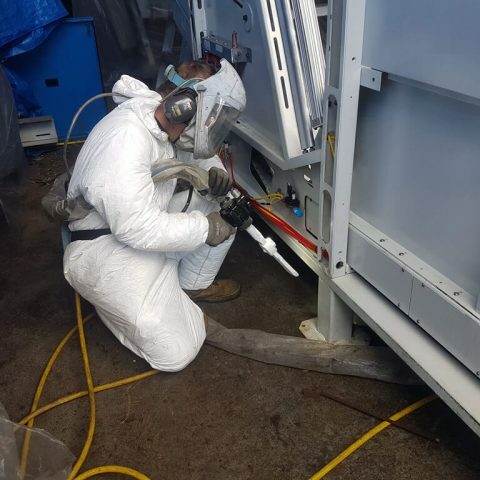 Also be able to clean the inside of electrical cabinets without causing watery residue and damage to electrical components, yet be able to remove oily greasy residue from working components of the machinery. Dry ice was the only form of blast media that could cater for all these requirements. 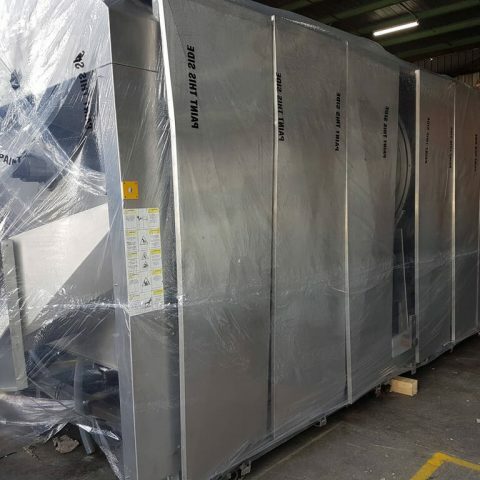 However there were two full lines of laundry equipment that stretched for 100 metres or so and most of this equipment needed doing, from towel folders to 40’ washing machines. 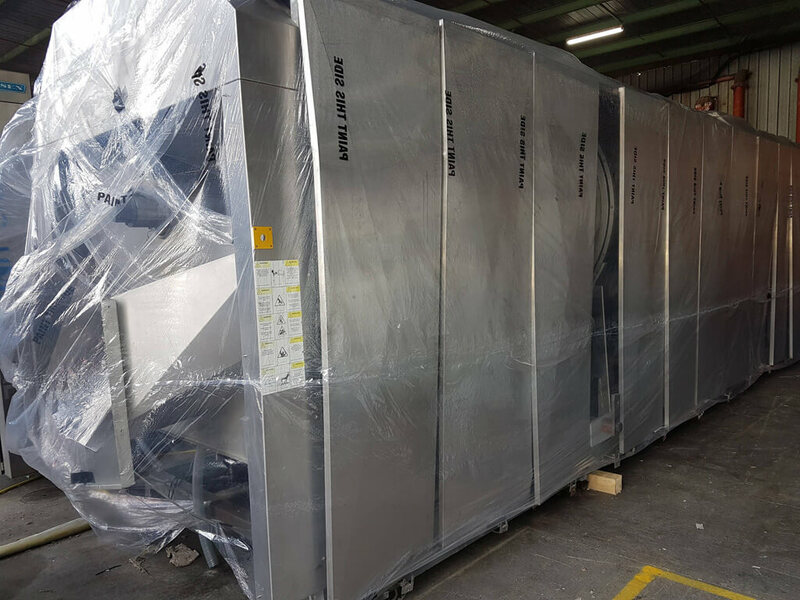 This was going to be a mammoth task for one or two dry ice blasting machines to complete in a couple of weeks and with less than a week’s notice to start. 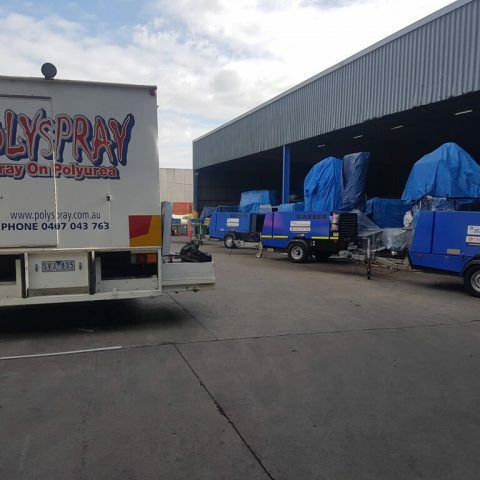 Polyspray’s dry ice blasting team brought three machines to site each putting out 175psi. Average consumption of dry ice was around two ton per day. 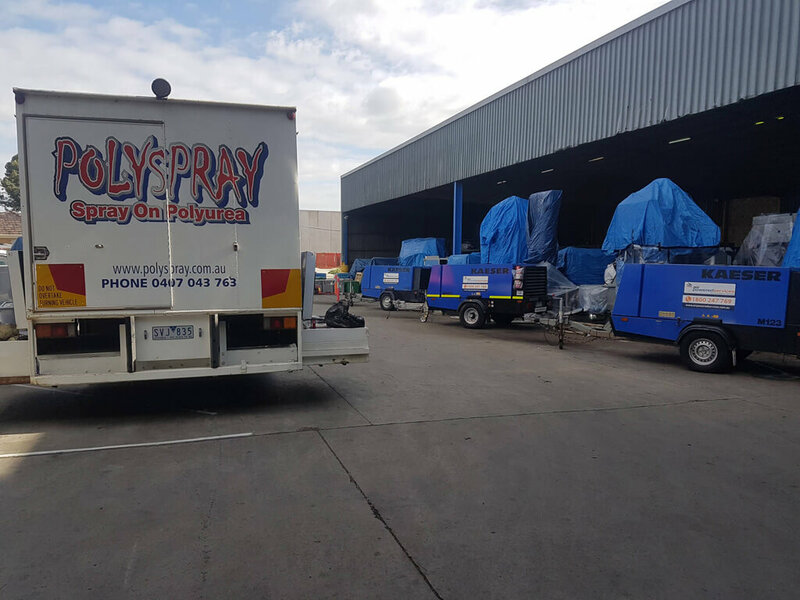 The manufacturers of the dry ice had to start at 2am each morning to ensure Polyspray had enough ice for the following day. 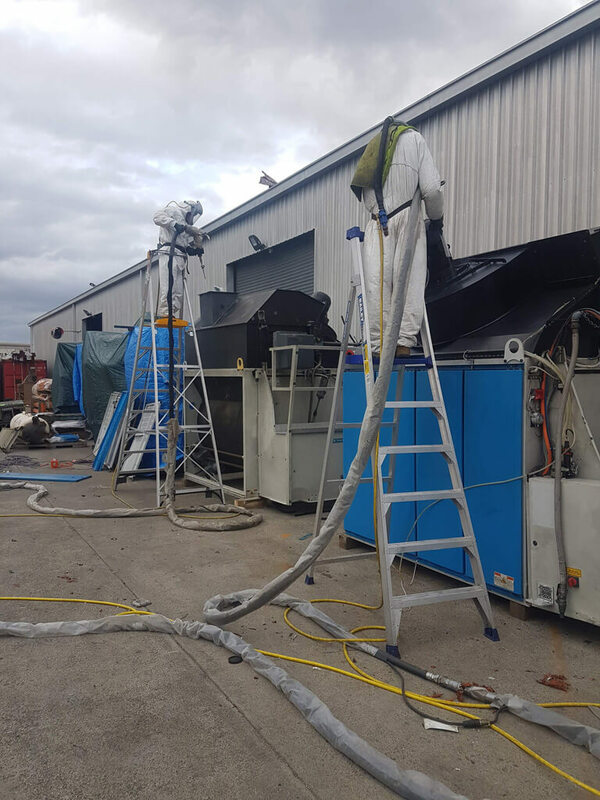 Once SPL saw the benefits of the dry ice blasting Polyspray was instructed to blast everything inside and out. 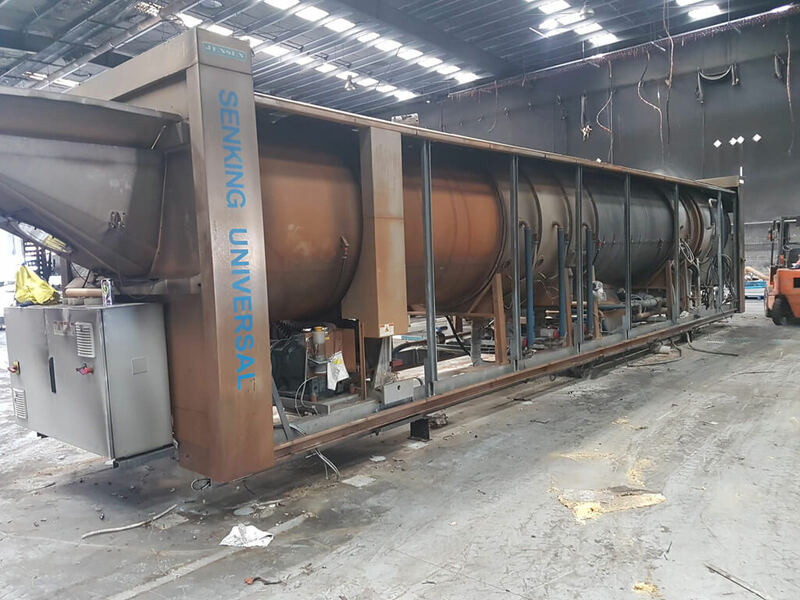 Each piece of laundry equipment was cleaned back to near-new condition, free of black soot, chemical damage and ready to be refurbished. The project took four weeks to complete.